The Resort Group PLC and Hotel Partner Melia Hotels International have secured a major commercial agreement with a world-leading travel brand. 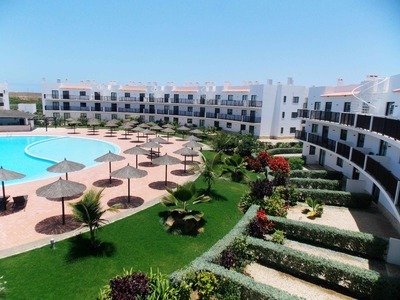 The new move will see the unnamed company delivering nearly one million customers to The Resort Group PLC’s three Resorts on Sal Island in Cape Verde over the next three years. As part of the multi-million pound deal, the travel brand will take the large majority of rooms at Melia Tortuga Beach Resort, Melia Dunas Beach Resort & Spa and Melia Llana Beach Hotel between November 2016 and 2019. As a result of the contract, it is expected that approximately 325,000 guests will visit the Resorts each year. Working closely alongside both Melia and the travel company, The Resort Group’s third Sal Island Resort, Llana Beach Hotel, will ensure an increase in high quality accommodation to meet the growing levels of touristic demand. 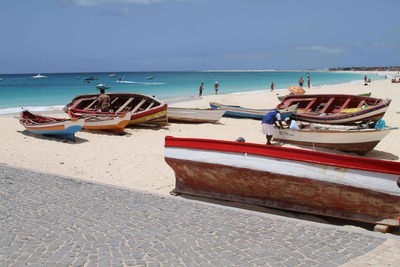 Figures from the National Statistics Institute (INE) show that, in 2015, Cape Verde had more than 569,000 hotel guests – an annual growth of 5.5%. The rise is partly thanks to The Resort Group PLC’s first two developments, with Melia Tortuga Beach Resort and Melia Dunas Beach Resort & Spa collectively attracting over a million tourists and multiple industry awards since 2011. Llana Beach Hotel will drive touristic volume even further. Scheduled to begin welcoming guests in December 2016, the adult-only complex offers luxurious Hotel Suite accommodation, including swim-up pools and balcony hot tubs all set within lush tropical gardens, with a total of six restaurants, five bars, a sophisticated nightclub, a YHI Spa and state of the art gym. The agreement means that approximately one million guests are expected by the end of 2019, which is positive news for The Resort Group PLC’s property buyers. Customers who have purchased a property located on one of the Resorts in Sal can be assured it will be occupied regularly throughout the year and can expect ongoing rental income as a result.